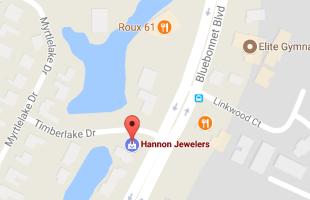 Hannon Jewelers provides complementary inspection and basic cleaning for all jewelry. We also offer three levels of jewelry cleaning ranging from cleaning and a light polish to fully restoring jewelry back to its original condition. May use a soft brush to assist in cleaning. Steam out dirt and dry. This is very safe. Polish ring to a shine with a high speed buff. Hand check each stone for tightness.